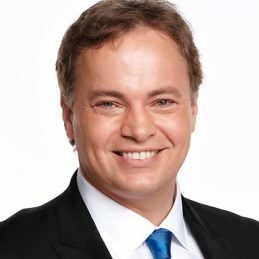 Mark Bosnich is arguably one of the finest footballers Australia has ever produced. The former Manchester United, Chelsea and Aston Villa goalkeeper is considered by many football pundits as a legend of Australian football. Mark Bosnich returned to Australia in 2008 completing a guest stint with Hyundai A-League club the Central Coast Mariners followed by Sydney Olympic in the NSW Premier League and proved he is still one of the football’s biggest draw cards continuing to impress many with his skill, experience and determination. Born and raised in Sydney, Mark moved to the UK in 1988 at the age of 16 years to join English Premier League club Manchester United and made his first division debut in April 1990. In 1992 Mark signed with Aston Villa on a free transfer where he would go on to inspire the club their two greatest domestic triumphs of the past decade – the 1994 and 1996 English League Cup trophies. Mark replicated his form with Aston Villa at international level, where he was a standout for Australia in their quest for qualification for the 1994 and 1998 FIFA World Cups. Following Australia’s near miss of qualification for the 1998 FIFA World Cup, Mark secured a high profile move back to world football giants Manchester United, the club installing Mark as the successor to club legend and fellow goalkeeping luminary Peter Schmeichel. Mark helped United win the Premier League title that year as the club were crowned champions by an 18-point margin. He also played a key role in Manchester United becoming the first English team to win the Toyota World Club Championship. In 2001 Mark signed for Chelsea before exiting the Premier League the following year. Having climbed the dizzy heights of world football he achieved extraordinary success in the English Premier League. Mark is an experienced media commentator regularly delivering insightful knowledge of the game in Fox Sports coverage of the A-League and the Qantas Socceroos. His personal charm, charisma and infectious laugh is a winning combination for Australian football.